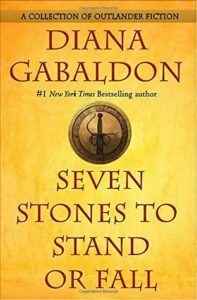 Seven Stones to Stand or Fall is a 500ish page collection of (mostly) novellas set in Gabaldon’s Outlander universe. All but two of the novellas were previously published in short story anthologies. The remaining two are new. I do not recommend picking up this collection if you aren’t already a fan of the books. Most of the stories would be entertaining enough to read, but you’re not going to get optimal enjoyment out of them without the context of the main series (or the Lord John books, which you should also read, because Lord John is the best). All in all, a worthy collection, and super handy to have all these concentrated in one book. I particularly liked A Fugitive Green as well. 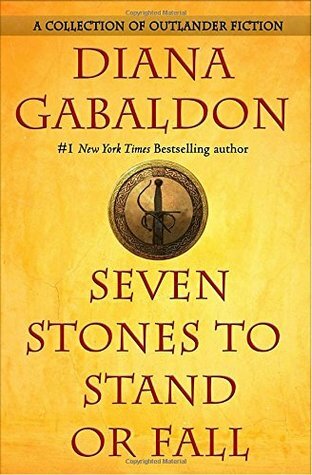 George R R Martin would do well to follow Gabaldon’s lead and spin some of his less important storylines off into short stories and novellas. He has done that! Haha. I’m hesitant to point out any part of that series as unimportant until I’ve read his endgame. For now I’m willing to be patient with him and any side trip he wants to take, as long as I get book six in my hands by 2018. Well I suppose he did, but it seems like he could have cut out a lot more. You’re right, we’ll have to see where he ends up, but I thought A Dance with Dragons seemed very bloated . I think you’re right that it was bloated, but for me a lot of the bloat felt like it was coming from characters that are central to the main storyline, like Arya and Dany. Just endless torture, where they’re at in that book. UGH.